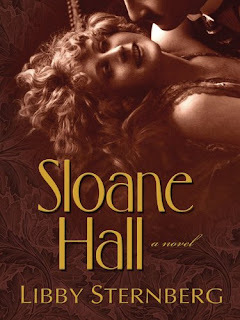 Sloane Hall by Libby Sternberg can be categorised under different labels: a historical romance, women's fiction or a reworking of Jane Eyre, which is the reason why it is featured on BrontëBlog. 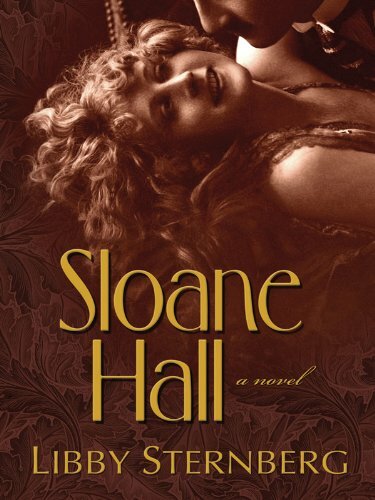 Sloane Hall is all that and more than that, a clear example of a novel where the overall result is more than the sum of its parts. The author has described elsewhere how her first intention (i.e. 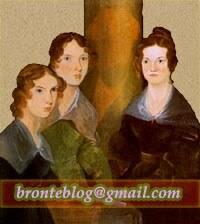 mirroring the Jane Eyre plot in a different setting, time and with an inversion of the sexes of the main characters) changed after the different manuscripts and revisions passed by the hands of several editors and publishing houses. We have to agree with the author when she says that the final result is much more interesting than her initial plan. Now, the original Charlotte Brontë novel still transpires through its pages but Sternberg has also built a personal universe where some of the characters have equivalents in the original Jane Eyre novel but don't behave as automatons remote-controlled by Charlotte Brontë's narrative. Their development and psychological characteristics are their own (Libby Sternberg's own) and the turns of the story are consistent with them. I began to wonder how it would feel to experience Jane Eyre as I had the first time I’d read it, to feel all those delicious emotions--Jane’s joy at discovering Rochester did love her, her subsequent heartbreak and then the glorious soothing of her sorrow—in the same way I had on my initial journey into Brontë’s story. It is to Libby Sternberg's credit that this particular element works so well. The time setting of Sloane Hall is also fundamental in this story. A bigger-than-life and at the same time tremendously fragile character, Pauline Sloane/Eleanor Brickman cannot exist but in the silent era of movies. The silent divas are evoked both explicitly (Greta Garbo, Clara Bow, Vilma Banky...) or implicitly through some elements of the plot which recall names like Barbara LaMarr or Lupe Velez(4) but we are not in the domains of Billy Wilder's Norma Desmond and our John is no Joe Gillis, the field play is the one that Singing in the Rain portrayed so well, the end of the silent era. The particular moment chosen, 1929, marks both the difficult and painful transition to the talkies (which put an end not only to the career of many actresses and technicians, but also axed the evolution of a language which suffered a severe leapback with the introduction of sound) and, of course, the October Wall Street Crash which similarly to the movies, ended the Golden Twenties for good. Although the Crash is only used in the novel in a tangential way, the coming of the Great Depression is crucial in the perception of the novel by the reader. It's like an unavoidable omen which flies over the story and adds to the feeling that something is going to happen: in Sloane Hall, in Hollywood, in the world. One has to admit that the atmosphere of the end of an era and the Jane Eyre intertext are elements that greatly improve and inject life to a story that, in essence, orbits around the 'naïf boy meets interesting girl with a past and in need to be rescued' scenario. Without the different layers which Libby Sternberg builds around the core story the novel could easily have dropped in the domains of the romantic (no capital R) serialised fiction. Although some repetitions and descriptions border dangerously in those territories, Libby Sternberg's intelligent and intriguing Jane Eyre reimagining has achieved two of the most difficult goals in a novel: being a page turner and paying a worthy tribute to Charlotte Brontë's inmortal story (which we can imagine being shot by some Douglas Sirk in glorious Technicolor... but probably with some minor script modifications). (1) Which is an obvious nod to Bertha Mason (as recognized by the author here). (2) Particularly nice is the transposition of the Jane, Jane, Jane! moment which in this novel becomes a completely different situation which works brilliantly. (3) And even the author, through John, seems to laugh at these 'literal' mirrorings when the big secret of Pauline and Sloane Hall is revealed. (4) The good movie aficionado will enjoy discovering through the pages references to Gary Cooper's Duisenbergs, Raoul Walsh's eye patch, John Wayne when he was still Marion, Murnau's Sunrise, Louella Parsons, Lillian Gish, etc ... An obvious misspelling, at least in our ARC, nevertheless has to be mentioned as Harold Lloyd appears once as Harold Floyd.